Mitchell Dentistry believes healthy smiles are beautiful smiles. Our team works diligently to provide the best dental services available in Fort Myers. Whether you require a routine checkup or extensive dental treatment, we provide everything needed to build strong, resilient teeth that last a lifetime. Since 1980, Mitchell Dentistry has kindly served the community of Fort Myers with exceptional dental services they can trust. We’ve welcomed generations of families into our practice and have provided comprehensive dental services at affordable costs. We work closely with our patients to give them the treatments which not only improve the aesthetics of their teeth, but bolster dental health and function as well. At Mitchell Dentistry, we put our patients’ health first. Mitchell Dentistry engages in continuing education throughout the year. Dr. Joseph, Dr. Yolanda, and Dr. James strive to be the best dentists they can be each and every day. Each of our dentists continues to develop their own perspective on dentistry and come together to provide a diverse set of comprehensive dental services. From general dentistry to cosmetic procedures, we provide care catered to you. We equip our offices with state-of-the-art equipment to keep up with the latest and greatest dental technology and continue our pursuit of new dental techniques. The staff at Mitchell Dentistry cares for patients. 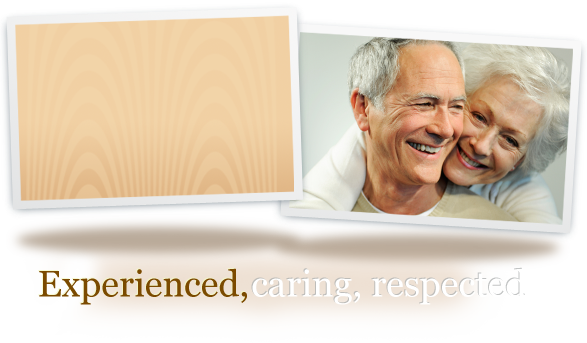 We build lasting relationships by listening to their needs and providing unique services specific to their concerns. At our office, we prioritize patient comfort. We understand that going to the dental office can make some people anxious, and we want to alleviate any fear you may have about dental procedures. Mitchell Dentistry is here to show you stereotypes about dentists are just myths! For more information about our dental services, or to schedule an appointment with Dr. James, Dr. Yolanda, or Dr. Joseph Mitchell, call our office. When you visit Mitchell Dentistry in Fort Myers, you’ll leave with the confidence to show off your beautiful smile!